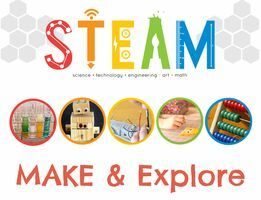 Join us this afternoon to make something creative or make a new discovery! We are partnering with the Santa Cruz Children’s Museum of Discovery (inside the Capitola Mall) to offer this weekly program through the fall. We will be in their Tinkerlab room. The program is free, and most suitable for 6-12 year olds. Parents will need to remain available throughout the program, and will be helping children under 8. We provide materials to explore their creativity, build things, make art and make discoveries. Usually they will be able to take their creations home. Sometimes we will be reusing the equipment, and they will be building something for that day only.